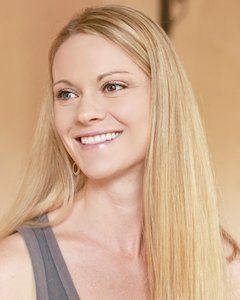 Starting Solids Without White Rice Cereal? I’m sure most of you are familiar with Dr. Greene’s White Out Campaign. Rice cereal is commonly given to infants as their first food. Unfortunately this is still suggested by many well meaning individuals, even though there is an overwhelming amount of evidence that rice cereal should never been consumed and particularly should not be a first food. Your own pediatrician may even suggest starting baby on rice cereal somewhere around 4-6 months. What can you do instead, and what does that look like at home? For my baby, I chose to exclusively breastfeed for the first six months. 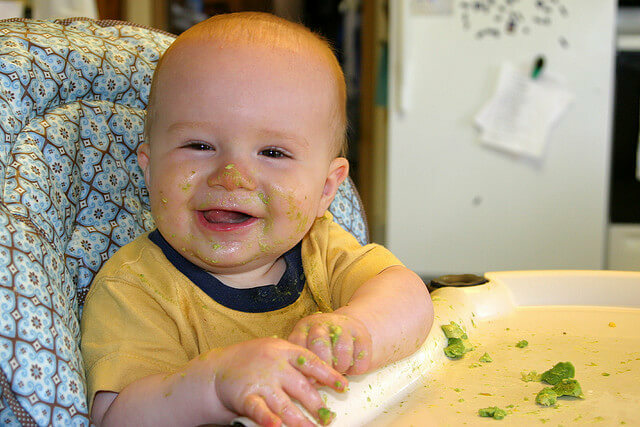 When we started solids we gave avocado first. It was simple for us, no preparation needed. It was a total mess, but funny and a great time for all. Parents can make some guacamole with the remainder since baby will only eat a tiny bit! Our daughter was slow to start with solids, and we fed a small amount once or twice a day, as she was interested. Food during this time is a complement to breastmilk or formula, and helps to expose their palate and develop motor skills. After a few days, we started giving small amounts of roasted sweet potato or banana. Eggs followed soon after. We primarily gave baby a small amount of what we were eating. This approach keeps it simple for parents, we are all busy enough! I also love the concept of including baby in family mealtimes from the start. For our family, we choose not to have separate adult and child foods. I have never used baby food in a jar, and I have never pureed anything for baby. We typically steamed or roasted food, and then mashed gently with a fork. Avoid adding salt or sugar for baby. This approach is nutritious for baby, simple for parents, and less expensive than purchasing food specifically for baby. We also choose not to give baby any juice, and I would encourage you to do the same. I strongly recommend waiting until 6 months to start baby on solids. There is abundant research to support this recommendation. Feeding baby solids too early is associated with a lifelong increased risk of obesity, diabetes, and other lifestyle diseases. Why put your baby at such an increased risk when it’s so simple to just wait a few extra weeks? Still struggling with waiting? Examine WHY you want to feed baby prior to 6 months. Think it will help them sleep better? No evidence for this. Exclusive breastfeeding is preferred, or formula if using, for the entire first 6 months. Babies truly don’t need anything else. Start with a real, whole food. Avocado is the perfect first food – good amount of fat, easy for baby to eat, easy for parents as there is no preparation needed. Heard that you should delay eggs? Or strawberries? Peanuts? Please discuss the latest guidelines for introducing foods with your Pediatrician, but the evidence suggests that after 6 months there is not really any reason to delay particular food groups for most families. If there is a strong familial history of allergy to a specific food I recommend consultation with your pediatrician or an allergist. Honey should be avoided until 12 months. However, this is due to concern for botulism and not allergy. While it is true that breast milk has a low concentration of iron, the type of iron is very bioavailable. If you’re concerned about baby getting enough iron you have other options besides fortified infant cereals. Consider dark greens, particularly when cooked (bonus points for cast iron!) and remember that iron absorption increases when consumed with vitamin C. A small amount of citrus, berries or bell pepper is all it takes. Baby can also have small amounts of meat or fish early on too. Check with your Pediatrician if your baby should have iron levels checked or take an iron supplement. Please educate yourself! Your baby deserves the best. Set them up for optimal health from the start.